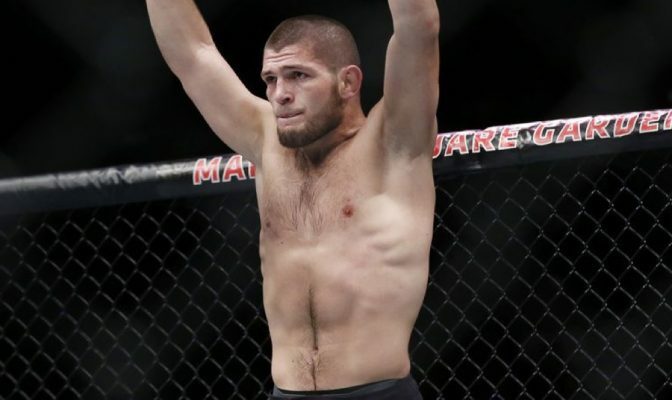 Lightweight champion Khabib Nurmagomedov will begin speaking to the UFC over the next couple of weeks to figure out when he will make his return to action. Khabib Nurmagomedov is just about ready to book his first title defense. 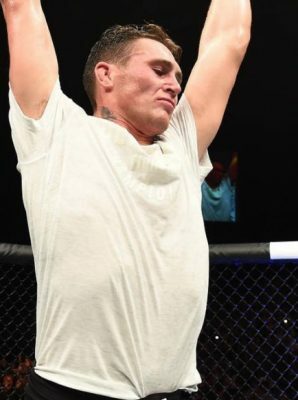 The reigning UFC lightweight champion won the title with a unanimous decision victory over Al Iaquinta in April before taking a planned break from the sport in preparation for Ramadan, which runs from mid-May until mid-June. Nurmagomedov is still in training and while he originally expressed interest in returning in November with the rumored UFC card in Madison Square Garden in New York, it appears he’s moving up his targeted date to fight again. “I don’t know when it’s going to be. Now we’ll talk about this with the UFC. It’s going to be maybe [September 9] or [October 6]. I don’t know about opponent — Conor [McGregor], GSP (Georges St-Pierre), whoever. It doesn’t matter, we’ll see,” Nurmagomedov said in a live chat this week. The two dates that Nurmagomedov mentioned aren’t currently on the UFC calendar but it would seem to indicate a pair of upcoming pay-per-views that would be numbered UFC 228 and UFC 229. Sept. 9 is actually a Sunday so it’s possible that Nurmagomedov was speaking about Sept. 8, which would be one week before the first ever UFC card in Russia on Sept. 15. As of now, the UFC hasn’t announced confirmed dates for either UFC 228 or UFC 229 so nothing appears set in stone just yet. In terms of matchups, Nurmagomedov obviously mentioned the most likely candidate for his first title defense with former champion Conor McGregor leading the short list of contenders. Before McGregor can accept any fight, he first has to clear up his legal problems stemming from an assault on a bus back in April when he was trying to go after Nurmagomedov ahead of UFC 223. St-Pierre would also be an interesting option as he’s mentioned dropping down to lightweight with either Nurmagomedov or McGregor as potential opponents. For now, Nurmaogomedov will plan to enter negotiations with the UFC in the very near future to begin discussing his return to action later this year.